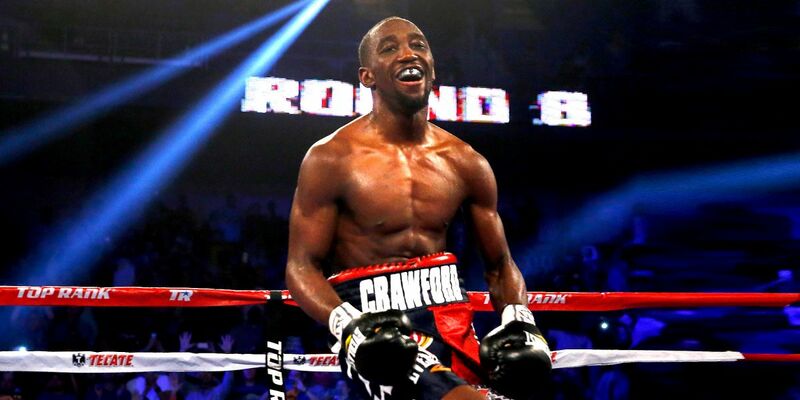 World-rated welterweight Ray Robinson 24-3 (12) believes that WBO welterweight champion Jeff Horn 18-0-1 (12) has what it takes to retain his title when he meets popular pound-for-pound entrant Terence Crawford 32-0 (23) at the MGM Grand in Las Vegas, Nevada on June 9. The 32-year-old southpaw from Philly arrived in Australia this week to help Brisbane-based Horn put the finishing touches on his training camp before the welterweight champion flies out to the United States on May 30. When Horn won the WBO world title last year against Filipino legend Manny Pacquiao a lot of fans, disappointed with the result, called the win a fluke or the judging inept, or worse. As a result Horn seems to have attracted as many new detractors as he did fans with the win. Robinson dismissed the predictions of the keyboard warriors who have already anointed Crawford the winner – and, in many cases, in a whitewash. “Anyone can sit behind a desk and say someone is going to win,” the IBF number 11 ranked welterweight told the Australian Associated Press. “No one really knows how Terence Crawford’s going to react when Jeff hits him. One aspect of Horn’s game that is often overlooked is his speed. Even the experienced eight-division world champion Pacquiao seemed surprised by how quickly the former Brisbane schoolteacher was able to close the distance against him. “He’s faster and sneakier than a lot of people think,” said Robinson, who holds a victory over Crawford in the amateur ranks 10 years ago. “He’s (Crawford) not super strong, just very accurate,” he said. “Jeff being on top and moving like that, it’ll be hard to pinpoint a shot and he beat one of the best with great accuracy. “If he walked through Pacquiao, I think he’s got an amazing shot. Horn is expected to carry a substantial weight advantage into the ring against the 30-year-old Nebraskan, who started his pro career as a lightweight. “Seven pounds (weight) make a big difference with someone laying on you from one to 12 (rounds),” he said. Robinson believes that Horn’s mental strength and singular focus is going to benefit him not just on fight night, but in the lead-up to what will be the biggest fight of his life. “They try to win the fight at the press conference, they are a bunch of tough guys,” Robinson said of the Crawford camp.